way better quality then i thought! The minimalist design is the perfect accent chair for all types of home decor making it a must have piece. Available in black, white, red and blue (sold separately), this chair offers many practical features that enhance comfort and durability. This is a great chair! Assembled easily. The quality is good and it looks better than in the picture. 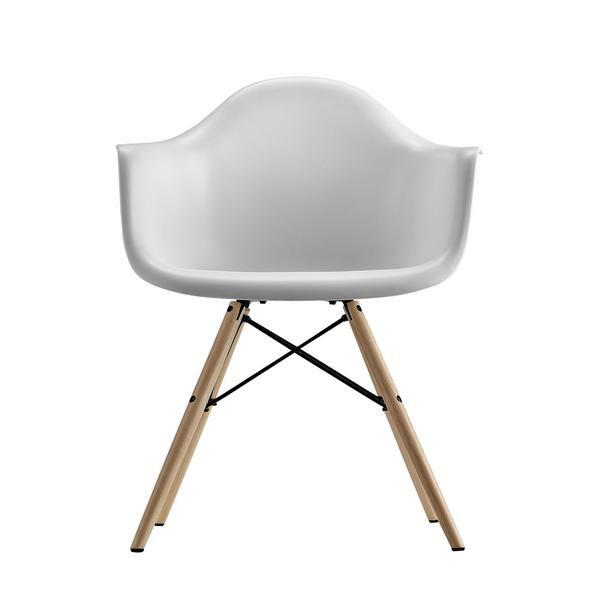 I would recommend this to anyone wanting a modern hip chair. Purchased this chair for my teen's bedroom and love it! Love the mid-century style, very easy to put together, came in two pieces and done. I love this modern and chic chair! Shipping was quick and it was simple to put together. I added a small pillow for comfort and decor. It fits in perfectly in my office corner! My 13 year old daughter put this chair together in a matter of minutes. Nice wide seat and looks very fashionable! It looks wonderful and is very comfortable, a perfect pic for Scandinavian Design lovers! Another great deal and easy to assemble. The only thing, it’s not too cozy but looks good, so sit on the sofa and look at the chair. A great chair. I returned it only because it did not go with my table. Easy to assemble. Easy to put together and looks like a much more expensive chair.